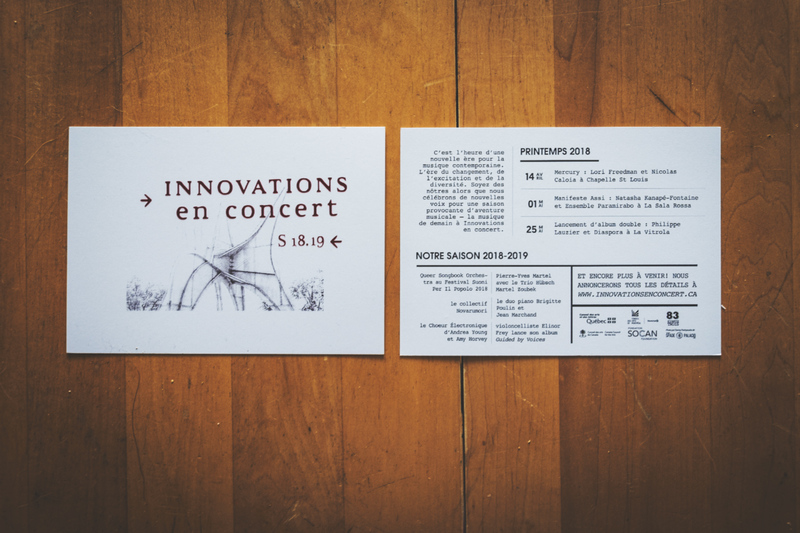 Design Eightie Trois had the pleasure of designing, printing and producing cards for the 2018-2019 Innovations en concert season. Cards have 4 different designs, and are partially handmade with decal vinyls on the front. 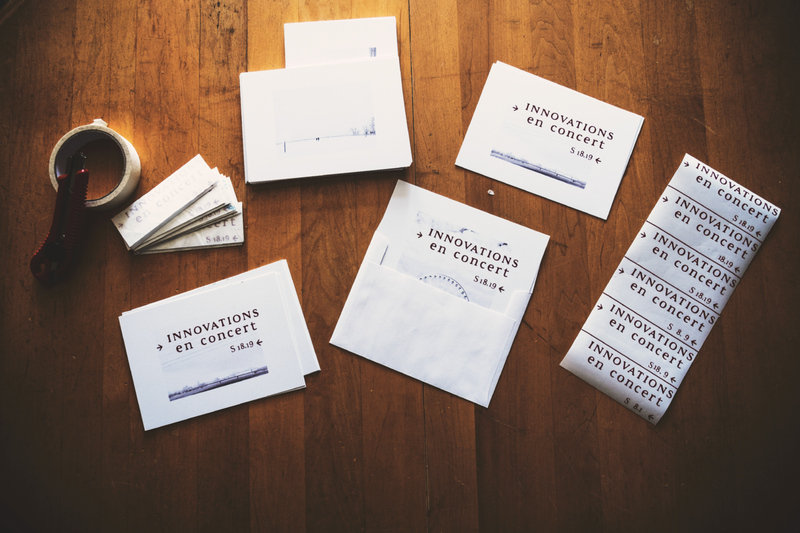 We also printed the envelopes, and sent them in the mail. We collaborated with Danny Pavlopoulos from Spade & Palacio Tours to use some of his photographs for the cards.